How many of the above questions can you answer? You can either click on any you are unsure about, or browse through them by simply scrolling down this page. The velocity of sound in the air is 330 m s–1. What is the wavelength of A440 on the piano keyboard? Two other attributes of waves are the amplitude (the height of the wave crests with respect to the base line) and the phase, which measures the position of a crest with respect to some fixed point. The square of the amplitude gives the intensity of the wave: the energy transmitted per unit time). A unique property of waves is their ability to combine constructively or destructively, depending on the relative phases of the combining waves. These waves consist of periodic variations in the electrostatic and electromagnetic field strengths. These variations occur at right angles to each other. Each electrostatic component of the wave induces a magnetic component, which then creates a new electrostatic component, so that the wave, once formed, continues to propagate through space, essentially feeding on itself. In one of the most brilliant mathematical developments in the history of science, Maxwell expounded a detailed theory, and even showed that these waves should travel at about 3E8 m s–1, a value which experimental observations had shown corresponded to the speed of light. In 1887, the German physicist Heinrich Hertz demonstrated that an oscillating electric charge (in what was in essence the world's first radio transmitting antenna) actually does produce electromagnetic radiation just as Maxwell had predicted, and that these waves behave exactly like light. 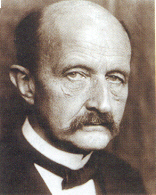 In 1900, the great German physicist Max Planck (who earlier in the same year had worked out an empirical formula giving the detailed shape of the black body emission spectrum) showed that the shape of the observed spectrum could be exactly predicted if the energies emitted or absorbed by each oscillator were restricted to integral values of hν, where ("nu") is the frequency and h is a constant 6.626x10–34 J s which we now know as Planck's Constant. 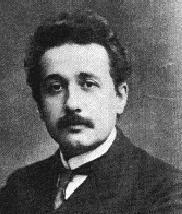 The allowable energies of each oscillator are quantized, but the emission spectrum of the body remains continuous because of differences in frequency among the uncountable numbers of oscillators it contains.This modification of classical theory, the first use of the quantum concept, was as unprecedented as it was simple, and it set the stage for the development of modern quantum physics. An interactive photoeffect applet will help illustrate this. Notice that the wavelength of a stationary particle is infinitely large, while that of a particle of large mass approaches zero. For most practical purposes, the only particle of interest to chemistry that is sufficiently small to exhibit wavelike behavior is the electron (mass 9.11x1031 kg), although neutron scattering experiments are also important. in which m = 2 and R is a constant (the Rydberg constant, after the Swedish spectroscopist) whose value is 1.09678x107 m–1. The variable n is an integer whose values 1, 2, etc. give the wavelengths of the different lines. It was soon discovered that by replacing m with integers other than 2, other series of hydrogen lines could be accounted for. These series, which span the wavelength region from the ultraviolet through infrared, are named after their discoverers. Substitution of the observed values of the electron mass and electron charge into this equation yielded a value of 0.529x 10-10 m for the radius of the first orbit, a value that corresponds to the radius of the hydrogen atom obtained experimentally from the kinetic theory of gases. 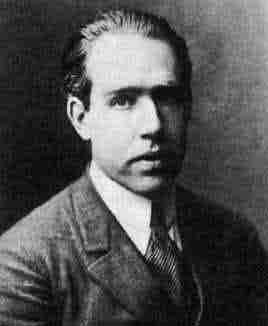 Bohr was also able to derive a formula giving the value of the Rydberg constant, and thus in effect predict the entire emission spectrum of the hydrogen atom. Because the classical view of an electron as a localizable particle is now seen to be untenable, so is the concept of a definite trajectory, or orbit. Instead, we now use the word orbital to describe the state of existence of an electron. An orbital is really no more than a mathematical function describing the standing wave that gives the probability of the electron manifesting itself at any given location in space. More commonly (and loosely) we use the word to describe the region of space occupied by an electron. Each kind of orbital is characterized by a set of quantum numbers n, l, and m These relate, respectively, to the average distance of the electron from the nucleus, to the shape of the orbital, and to its orientation in space. 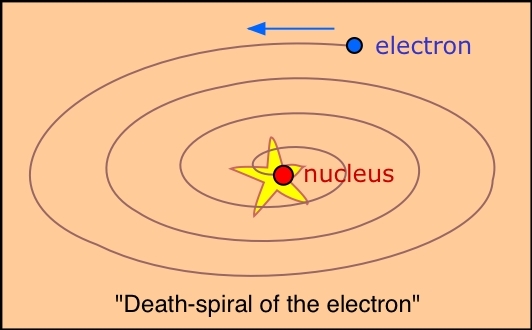 In its lowest state in the hydrogen atom (in which l=0) the electron has zero angular momentum, so electrons in s orbitals are not in motion. In orbitals for which l>0 the electron does have an effective angular momentum, and since the electron also has a definite rest mass me = 9.11E­31 kg, it must possess an effective velocity. 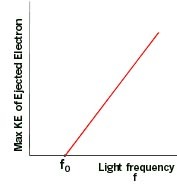 Its value can be estimated from the Uncertainty Principle; if the volume in which the electron is confined is about 10–10 m, then the uncertainty in its momentum is at least h/(1010) = 6.6E–24 kg m s–1, which implies a velocity of around 107 m s–1, or almost one-tenth the velocity of light. The term spin implies that this magnetic moment is produced by the electron charge as the electron rotates about its own axis. 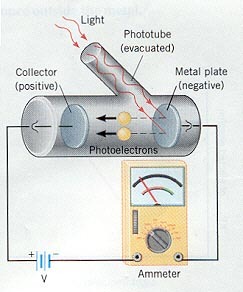 Although this conveys a vivid mental picture of the source of the magnetism, the electron is not an extended body and its rotation is meaningless. Electron spin has no classical counterpart; the magnetic moment is a consequence of relativistic shifts in local space and time due to the high effective velocity of the electron in the atom. 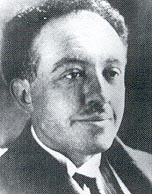 This effect was predicted theoretically by P.A.M. Dirac in 1928.